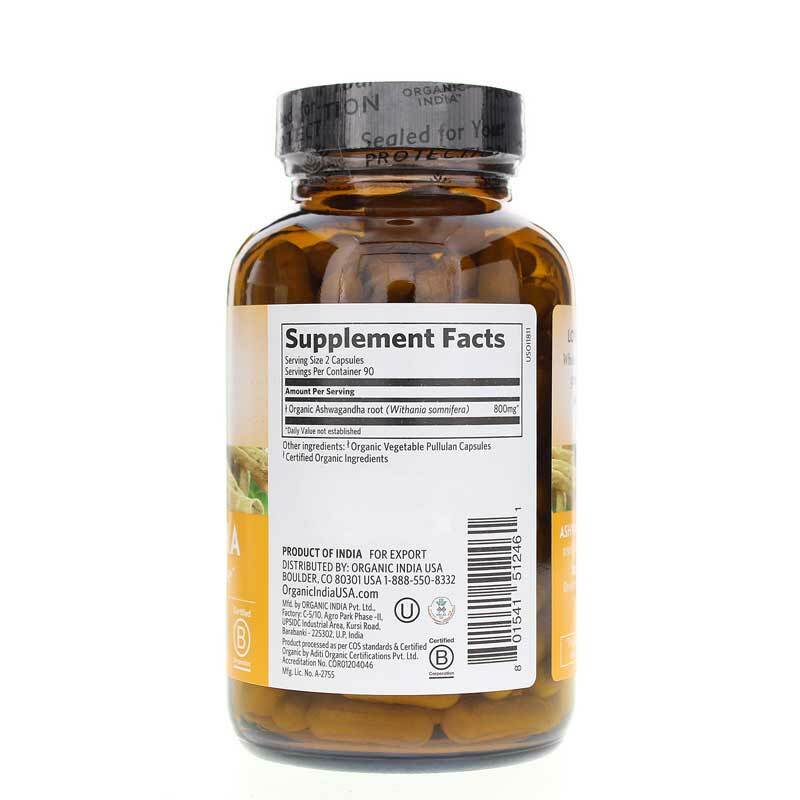 Ashwagandha is an adaptogenic herb that has been used for centuries as an all-natural form of support for healthy energy levels and optimal vitality. 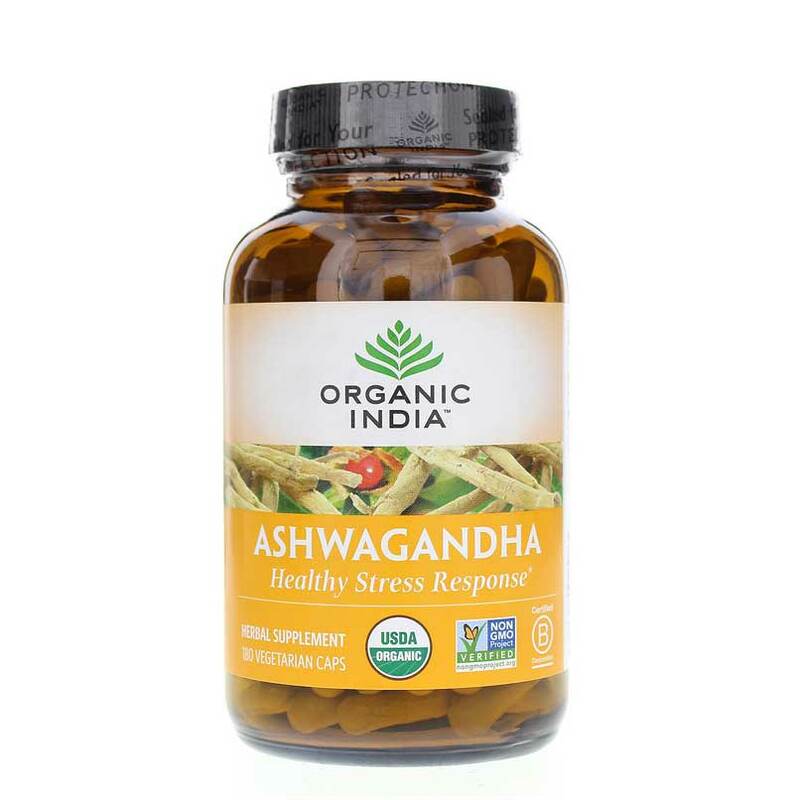 Ashwagandha from Organic India is an herbal supplement that delivers all-natural support for the maintenance of healthy energy and vitality, as well as support for stress relief and better overall health and wellness. Used for many years in India and other places, this adaptogenic herb has become a staple in the natural health world. Every batch of Ashwagandha from Organic India is formulated with USDA-Certified Organic herbs, is Kosher and Halal Certified, and is also Non-GMO Project Verified. It contains no gluten, and is suitable for vegans and vegetarians as well. Make the right choice to keep yourself energized the all-natural way. Give Ashwagandha a try today, and see the difference it may be able to make for you. Order now! Contains NO: gluten, GMOs. Vegetarian/Vegan. Kosher. USDA Certified Organic. Adults: 2 capsules 2 times a day with food or water or as recommended by a healthcare professional. Do NOT use if you are pregnant or nursing without consulting physician. Keep out of the reach of children. 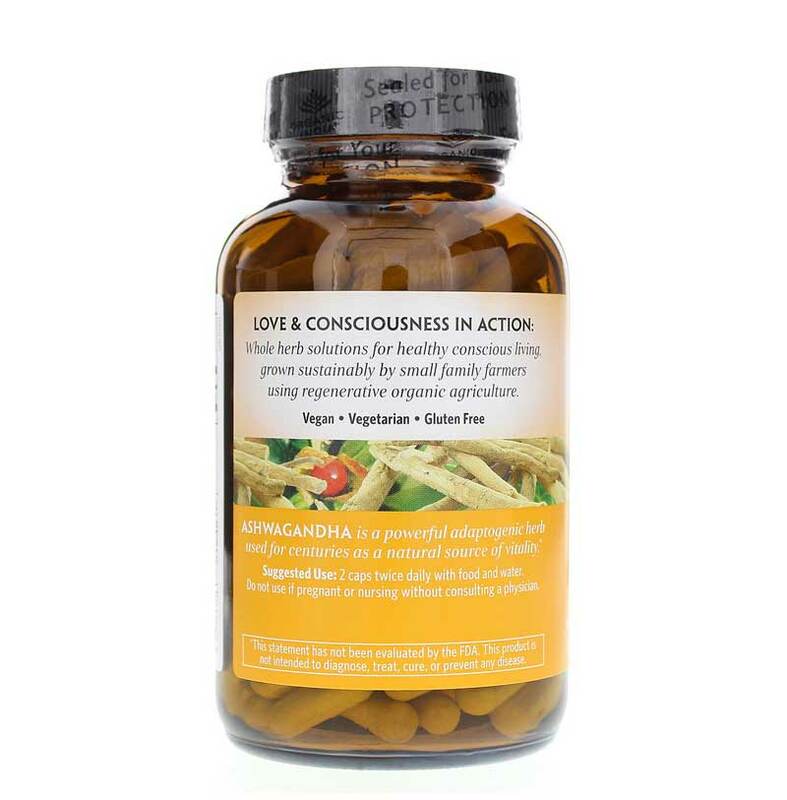 Ashwagandha offers perfect immune and nerves system support! I tried Ashwagandha to help me sleep. It definitely helped me sleep... but I had very strange dreams. I won't continue to take it for that reason. However, if you're looking for a supplement to help sleep - give it a try!